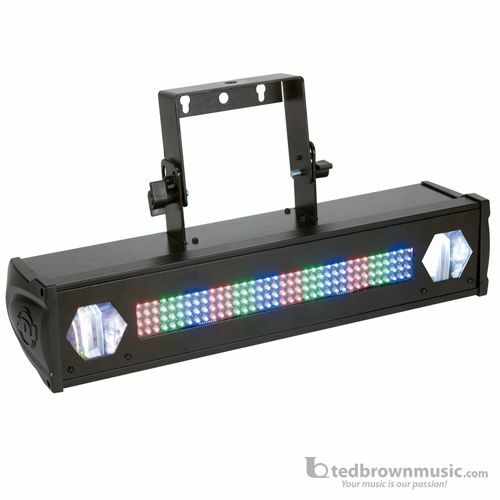 Member of the ADJ Fusion Series, a unique and compact lighting fixture that includes 3 FX in one light: Red, Green & Blue LED Wash + 1x Colored LED Moonflower & 1x White LED Moonflower. The LED Wash includes 144 LEDs (48 red, 48 green, 48 blue) and each Moonflower includes one bright 3W LED with 1x color dichroic mirror & 1x white mirror. It has DMX-512 protocol and has three modes: Sound active, DMX and Master/Slave.